The technical team at Stroma take a look changes to the 18th Edition regarding selectivity between overcurrent protective devices and what this means for installers. The 18th Edition of BS 7671 has changed what has been known for many years as ‘discrimination’ to ‘Selectivity’. ‘Selectivity’ is defined in Part 2 as: ‘Co-ordination of the operating characteristics of two or more protective devices such that, on the incidence of an overcurrent or residual current within stated limits, the device intended to operate within these limits does so, while the other(s) does (do) not’. There is a Note to the definition that describes Partial and Total Selectivity. Section 536 of BS 7671 now has extensive descriptions of the application of Selectivity between Overcurrent Protective Devices (OCPD), RCDs and other devices. Unfortunately, the 18th Edition has omitted to say when Selectivity is required, leaving the decision to the installation designer. The 17th Edition required: ‘Co-ordination of series protective devices is necessary to prevent danger and where required for proper function of the installation’. Generally, if a circuit protection device supplies a number of circuits, and each of those circuits are protected by their own circuit protection, it’s desirable that the downstream device would operate first under overcurrent conditions. If a single circuit has two protective devices in series it’s probably unnecessary to have full or Partial Selectivity. It’s necessary to have full Selectivity if danger may occur if an upstream device operates before the downstream device under overcurrent conditions. 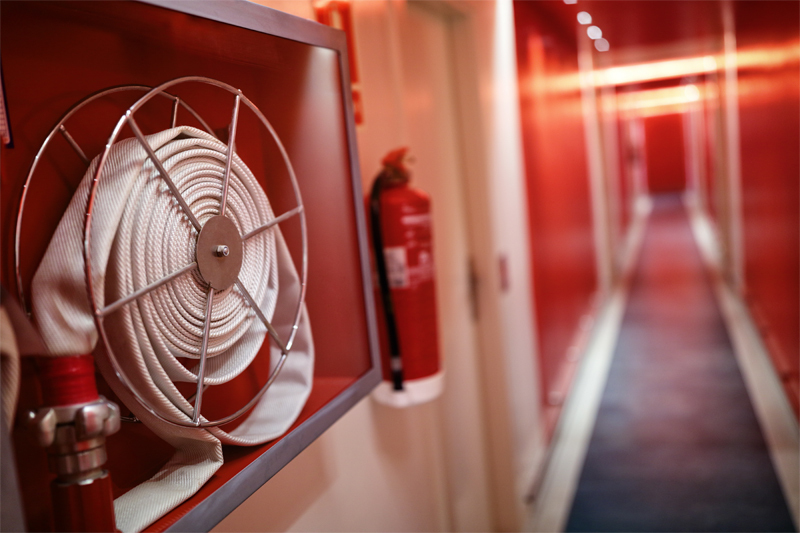 An example of this is where a building has Life Safety Services (LSS) such as fire lifts, smoke extracts, sprinkler pumps and fire pumps. In these installations, under fire conditions, the LSS supplies may be required to operate until destruction rather than operate to prevent cable damage. An example of this may be a supply to two fire pumps, where circuit protection to one pump operates before the upstream protection in order for the second standby pump to continue to supply water to fire hose reels. Prior to the 18th Edition, designers would carry out a discrimination study to determine the sequence of operation of protective devices under overcurrent conditions. The 18th Edition says this can now been verified by a desktop study using manufacturer’s data, software, tests or a manufacturer’s declaration. Most designers will probably opt to use proprietary software to carry out a Selectivity (discrimination) study. Using software for a Selectivity study will allow a designer to plot the time/current curves for each device in series to verify if Selectivity has been achieved. The plotted curves will indicate the pre-arcing curve that indicates where the device will not operate, a band of tolerance where the device may operate and the operating curve where the device will definitely operate. The available fault current at any point in an installation will be determined by the impedance of the incoming supply, the impedance of distribution and final circuit conductors and the location of the fault. In large installations with many tiers of circuit protection it may not be possible to achieve full discrimination. This would require the capacity of the supply to be increased to increase fault current, a higher rated circuit protection and larger cables throughout the installation. This would clearly be uneconomic. A larger capacity supply may not be available and probably unnecessary unless full Selectivity is required to prevent danger. It may be possible to achieve Selectivity using MCCBs with adjustable trip units to introduce time delay to achieve discrimination. The Stroma Group has announced the launch of a new Approved Inspector brand: Stroma Building Control (Stroma). In doing so, it becomes one of the most prominent and largest CICAIR Approved Inspectors to the construction industry. Formed from three already established Building Control providers in Approved Design Consultancy, BBS Building Control and Greendoor Building Control, Stroma unites more than three decades of project work and experience in the Building Control sector. The expansive team of more than 120 qualified Building Control Surveyors and network of 14 regional offices means that clients can rely on a nationwide Building Control compliance service delivered at a local level. The Stroma Building Control team has an extensive track record across all project types within the construction industry. Its body of work as trusted consultancy partners for the client spans residential, commercial, mixed use, leisure, retail, education and more. Stroma’s advice and support can be provided during the concept and early design phase, through the Initial Notice submission, Plans Appraisal and Site Inspections to the Final Certificate submission at completion. The team also delivers full technical support to clients, CPD on all regulations and advice on any changes to those regulations.